Shypoke calls the Calistoga AVA home. Their dirt to bottle history began in 1904, when Peter Heitz’ great grandparents immigrated from Alsace and literally planted roots. Named after their daughter, Amelia Heitz, who helps craft the 2014 Shypoke Petite Sirah, Amelia’s Block. In the vineyard, she helps her grandfather “Nonno” tend to the vines. Opaque & rich in color. 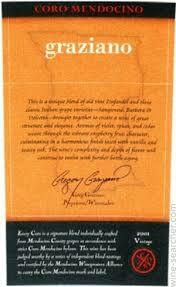 Aromas and flavors of ripe huckleberry, boysenberry and brown sugar. Magnificently judged ripeness, seemingly on the cusp of end-season richness, yet still married to early season freshness. Remarkable. Starting in late 1954 people throughout France began reporting UFO sightings. The sightings were popularized by heavy media attention, and became a concern for the citizens of France. The most common shape of the crafts reported were cigar shaped, called “Cigare Volant.” The people of Chateauneuf du Pape were so concerned by the sightings and the effects the UFOs may have on their wine, that the mayor banned the UFOs from landing in their vineyards. Tipping his hat to this story and the famous wine, Randall Grahm of Bonny Doon Vineyards named his Chateauneuf style wine Le Cigare Volant. The Bonny Doon Cigare du Volant 2013 is a beautiful wine – dark, mulberry color, and a first nose of dark, cool loamy earth with suggestions of raspberries, Damson plums and cherry/chocolatedance on the palate. It is sleek and racy with a lively acidity, very soft tannins and great persistence. This is a wine from an extremely cool and elegant vintage, and by all experience, should be a great prospect for very long aging and development. “Exceptional” – Dan Berger's Vintage Experiences | “The classic Rhone-ish expression of Randall Grahm's fascination with wines of personality, the blend here is 35% Mourvedre (for its blueberry fruit), 34% Grenache (for cherry and peppery notes), 20% Syah and 9% Cinsaults. I have tasted many older versions of this wine and this one is set up to age a long time.” | July 9, 2015. 93 Points – Wine Enthusiast. 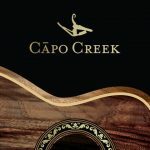 Sit back and inhale the Capo Creek Syrah 2016! Beautiful notes of red fruits, cassis, and baking spices. Just in time to pair with cool nights so throw a log on the fire and enjoy! Medium weight and light on its feet, this wine is all about verve and spice. The fruit is soft and delicate, and takes a back seat to the umami-filled, mineral-driven, savory Syrah flavors. Very exotic and intriguing with a haunting quality to it…very special stuff! After graduating from UC Davis, Carol Shelton worked at renowned cellars and with industry giants like Andre Tchelistcheff and Robert Mondavi. In 1981, Carol began working at mid-sized winery in Sonoma County. During her 19-year stint as winemaker with this winery, Carol had the opportunity to bottle 45 different wines each year, ranging from sparkling to port. In 2000 Carol and her husband Mitch Mackenzie, a former software engineer, launched their own brand – Carol Shelton Wines. When you're talking about big flavor, Carol Shelton's wines always come to mind. 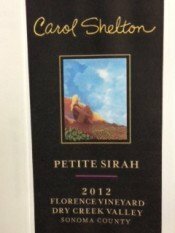 The Carol Shelton Petite Sirah 2013, Florence Vineyard, Dry Creek Valley is inky blue-purple in color with sweet black razzberry jammy fruit—yum! Dark chocolaty oak spice, bright acidity but very juicy-supple, bit of warm vanilla at finish, structured tannins for aging. 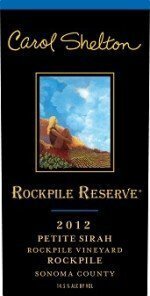 97% Petite Sirah, 3% Zinfandel 97% Florence Vineyard, Dry Creek Valley 8% Florence Vineyard, Rockpile. 368 cases produced. Passionate purple in color, lively black peppery spice on perfumey blue-blackberry fruit along with Cedary oak spice, dusty cocoa, warm vanilla creme at finish, structured tannins for aging. 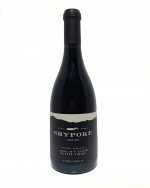 This elegant Petite Sirah displays a dark purple color with aromas of blueberry and plum. 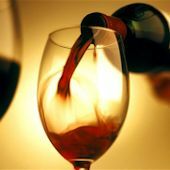 On the palate the wine shows complex layers of dark fruit with hints of white pepper spice. Soft tannins and a touch of toasty oak create a wonderful mouthfeel and a silky finish. 82 cases produced. Corvidae is the Latin name for the family of birds that includes the Crow, Raven, Jay and Magpie. These “dark” birds are everywhere in the vineyards of Eastern Washington. Their reputation as crafty, adaptable, and somewhat dubious characters is a fitting icon for the suspiciously terrific value wines from this region. The geology and climate here yields rich, complex fruit, with luscious fragrance and bright acidity. Sourced from several vineyards throughout the Yakima Valley and the Horse Heaven Hills, the Lenore Syrah is powerful and intensely concentrated. The hillside vines in Yakima contribute fragrance, texture, and purity of fruit flavors. The depth of flavor belies the paltry price-point. Pair this crowd pleasing wine with barbecued babyback ribs, a hearty lamb stew or your favorite burger. Of course she’s a beauty on her own as well. Coro Mendocino is a collaborative effort started by eight Mendocino winemakers in 2001 to create a class of distinctive wines that showcase the rich heritage and unique characteristics of Mendocino County. This is the first time in U.S. history that vintners have set blending and aging parameters for wines distinctive to a region (i.e. like the appellation controllee wines of Europe). The Graziano 2015 Coro Mendocino is a unique blend of old vine Zinfandel, Petite Sirah, and classic Italian grape varieties Barbera, Sangiovese and Dolcetto, which have come together to create a wine that has great structure and elegance. Aromas of intense plum, black cherry, coffee and spice that weave through the full-bodied, complex mouth-feel, culminating in a rich harmonious finish laced with great acidity, vanilla, earth and toasty oak. The wine’s complexity and depth of flavor will continue to evolve with further bottle aging. 56% Zinfandel, 11% Barbera 11% Petite Sirah, 11%Dolcetto, 11% Sangiovese. Inky black-blue color precedes perfumed aromas of cassis, espresso, and dark chocolate. Intense dark currant, blackberry, and plush plum flavors initially fill the palate. This heady, explosive wine then finishes long with BBQ rub spices, sweet toasted oak, and round tannins. Pairs spectacularly with grilled meat, sausage, pizza (and anything with savory red sauce), and robust hard chesses like Parmesan, Pecorino, Romano, Sharp Cheddar, Emmental and Manchego. If you're not familiar with Petite Sirah, there is nothing petite (small) about it. The grape produces rich, complex and age-worthy wines that are dense in character and color. The 2013 Reserve “mbf” Petite Sirah exhibits these qualities. Produced from the Perotti Vineyard in Dry Creek Valley, this wine exhibits flavors of dark plums, dried herbs, licorice and pepper spice. Delicious!